I was stopped in my tracks last week on the day it was announced further treatment for Elizabeth Edwards was deemed unproductive. It’s always interesting to hear how such decisions are put into words as gently as possible. They really meant time was running out for her and there was nothing left to be done. Everyone, including me, began to speculate on just how much time she had left; weeks, days or less. As it turned out, it was less, in fact, only hours. I was surprised by the effect this news had on me. Then again I wasn’t. I felt a connection to her for many reasons. 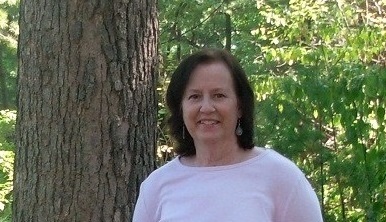 Elizabeth Edwards was diagnosed with breast cancer in November 2004. Earlier that year, on my birthday in fact, my mother discovered her lump. My parents were planning a trip to my house to celebrate that day. They didn’t come. Cancer interrupts birthday celebrations. Cancer interrupts presidential races. Cancer interrupts life and no one’s life is immune. Just like Elizabeth and her family rallied to deal with her cancer, my family rallied around my mother as we prepared for our own struggle. We followed how they were going. There was a bond of sorts between us. There is an invisible bond between all cancer families. Cancer doesn’t care if you are the wife of a rich Senator who is also running for Vice President of the United States, or if you are the wife of a retired high school history teacher (my mother) from a small Midwestern town. Cancer is a great equalizer. After Elizabeth’s and my mother’s diagnosis, things quieted down on the cancer front for a while, at least in our family. Everyone got on with their busy lives. We hoped cancer was halted or at least stalled. Months went by when we didn’t even talk about cancer, perhaps thinking if we kept quiet, cancer would as well. Another election rolled around and once again the Edwards family was in the political spotlight as John Edwards ran, this time as a 2008 Presidential candidate. Then the day came in March of 2007 when yet another announcement was made. Elizabeth’s cancer was back, a recurrence, the news no cancer patient wants to hear. I watched them make their announcement matter-of-factly that day, standing together appearing unified in their decision, Elizabeth in her bright blue suit, looking poised and calm. Some people made judgments about their decision, criticizing them for continuing on with the race. Some even called her a bad mother. People don’t stop judging you even when you have cancer. In August of 2007, my mother complained of pain in her shoulder and back. Tests were ordered and results revealed “spots,” a gentler way of saying recurrence. She was put on the drug Zometa to slow growth of cancer in her bones. It was supposed to buy us more time. One night while we sat around in my parents’ living room discussing my mother’s latest appointment details and debating the reality of the recurrence, she sat upright in her chair and announced, “I know my cancer is back. I’m just like Elizabeth Edwards.” She was almost proud of this special bond of allegiance she felt with Elizabeth. You’re really not like her, I was tempted to respond. You are twenty years older than she is. Your situation is not the same. But of course I could not say that. I could not strip her of her badge. That discussion was in October. By the beginning of March, my mother was gone. We all kept hoping Elizabeth would have a better outcome. Granted she lasted a couple more years, but ultimately her cancer metastasized into her liver and she, too, passed away due to liver failure, just like my mother. Then came my own breast cancer diagnosis and I more fully understood the bond my mother felt with Elizabeth and others like her. Suddenly Elizabeth, my mother and I were the same, along with so many others, women linked together by cancer. Most of us in this “cancer club” were profoundly impacted by Elizabeth’s passing. Every loss to this disease feels personal somehow, but Elizabeth’s death was especially heartfelt perhaps because she was someone who used her position to speak eloquently about life and death for the rest of us. She understood us. She was one of us. Thinking about these things after hearing Elizabeth had passed away brought back many painful memories for me. I thought about what both of our families have been through and the road that lies ahead for them, especially the young children. It hasn’t been easy and the future won’t be either. I also thought about why women (and men) all across the country came to care about Elizabeth Edwards. Usually the “rest of us” are just envious of the wealthy and famous. We don’t really relate to them much on a personal level. Something about Elizabeth was different. Was it because of her life’s hardships the rest of felt such empathy? Was it because of the death of her son, Wade? Was it because she struggled with her weight and we secretly liked that? Was it because of the cancer, or her husband’s infidelities? Perhaps it was more than these things. 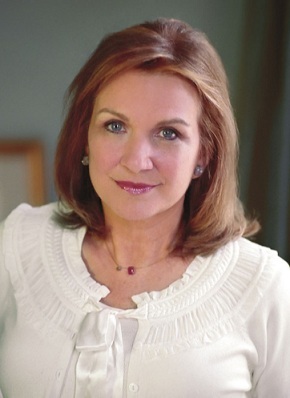 Elizabeth Edwards seemed to truly cared about people and made the conscious decision every single day after her son died to choose to live her life a certain way. She made the choice to lead the kind of life that would bring honor to her son’s memory. She chose to do the same after her breast cancer diagnosis and when her marital problems became public knowledge as well. She made the effort to follow the “high road,” which sounds like a simplistic cliché, but perhaps that’s why people cared so much for her. They admired the way she chose to live, especially in times of extreme adversity. Perhaps we all envisioned ourselves making tough choices in our lives with as much grace and dignity as she displayed in hers. Maybe we could be like her, or at least try to be. I guess it’s true; one’s character comes out in the tough times, not so much when things are going smoothly. That’s what inspiration is all about. Elizabeth Edwards inspired us to be better people. That’s why she will be missed by many, most of whom never even really “knew” her; people like my mother and me. That’s quite a legacy. What are your thoughts on the life/death of Elizabeth Edwards? Hi Nancy, I think, at least for me, I felt sadness even though I had never met Elizabeth, because the diagnosis of breast cancer made her like me, like my mother and you and yours. All of us, even though everyone’s situation is different, here is the great similarity, breast cancer. I was just hoping for a happy ending. If Elizabeth could get that, then maybe we all could. Her death is just a sad reminder that it may not be possible. I like to keep that thought hidden away, but it’s come forward again. Stacey, Thanks for reading and commenting. I agree, the common thread here is the breast cancer. It truly links too many of us together, actually all women (and men), because everyone knows someone affected by this disease. Also, every death unfortunately brings that thought you speak of out again. I always saw Elizabeth Edwards as a woman of grace…even before her diagnosis. Oh, I’m sure she was as flawed as the rest of us with her own failings, etc. But she handled life with grace. And she handled cancer in the same way. I, too, had hoped that she would have many, many years cancer-free. WhiteStone, I saw her the same way and of course she, too, was flawed. Aren’t we all?! Thanks for sharing your thoughts. The aches and pains that seem a little “different” I was reading another blog were many of the members were stage IV now that Elizabeth passed away the fear was palpable just through reading. If she died then what about the rest of us. They wanted to know what type how long had she known it was no longer treatable. It is impossible to go by someone elses death to predict how much time we may have left. If only, but then again it might not be so good after all.I also had a husband who cheated, Lord the fights we had because he liked to deny buy hey I had the facts in front of my face lol. I know people judge her husband but what they forget it’s not the outside worlds fault. It’s between them. I forgave mine because forgiveness doesn’t mean you accept the damage it means you recognize we all have flaws, in order for you to free yourself and heal you need to come to terms. She forgave her husband, it doesn’t say she took him back but they reconciled, this is likely what she needed. There was a lot of history between them. I had the same feelings about cards.The notes seemed to be what was needed. Alli, Thanks for reading and commenting. I haven’t seen you around for a while! I’m sorry you had to deal with a cheating husband. I agree, forgiveness is perhaps necessary to heal. Each of us must remember how individual are own cases are, but her death is a reminder… How are those note cards coming? This was a beautiful post in memory of two beautiful women. I too felt sad when I heard Elizabeth Edwards passed. And then I got angry at cancer all over again. Teresa, Thank you for calling my mother beautiful! I think all of us felt both saddened and angered, again good to know we are not alone, even in our mirrored reactions. Nancy, thanks for letting me know this was coming. What a great and thoughtful post — both about your connection to your mother and your opinion of Mrs Edwards. Scott Simon posted a link to a Newsweek story she wrote after Tony Snow died. It was so beautiful and one of the points she made was that once we become acquainted with cancer, it becomes almost impossible to look at these stories the same again. Katie, Thanks for commenting. You are so right, these stories have even more profound impact after a close-up view of cancer. Jan, Thank you for reading and commenting on this post. As you said, Elizabeth Edwards was indeed a role model for many women. It’s a loss for all of us. Nancy another beautifully written post. Mrs Edwards passing, although obviously sad for those around her, just made me angry that we lost yet another woman in the prime of her life to this disease. When are we going to make meaningful and potentially game-changing cancer research a priority in this country ? How many more do we need to lose ? Because it really doesn’t matter if you have all the money in the world, and the very best in medical care, cancer doesn’t discriminate and we really have no idea why one treatment will work for one person and not for another. It’s just not good enough. Anna, You know, Anna, I’m glad there are people like you who do get angry and keep reminding us the status quo is just not good enough because it’s not! You’ve written one of the best explanations for why we loved Elizabeth Edwards. She WAS one of us. She fought for all of us, even participating in a clinical trial that would benefit those who came after us. She taught us how one can be resilient and live our lives with grace, even in the face of certain death. After she’d written a piece for my book, I sent her a small crystal box from Tiffanys that had another crystal bow around it. Inside I placed a small piece of watercolor paper with the word “Survivorship” in an old English font. I was thrilled when she told me the box now had a special place of honor on her bedroom dresser and how the word “Survivorship” underscored the way she lived her life. She was an amazing woman and will be greatly missed. Brenda, Thanks for the compliment about my post. You are lucky you were able to get to know her a bit. Thanks for sharing that personal story. Knowing she liked your gift so much must mean a lot to you now. Nice memory for you to have. PS: How are you recovering? Well I hope. I’m recovering pretty well, Brenda. Supposed to take it easy for a couple more weeks. Kind of hard this time of year. Thanks for asking. I actually didn’t know much about her life prior to my co-worker telling me she was ending her treatments that day. I felt sad for her and her family, but it didn’t hit me too hard at first. I figured, like my mom, she would have another couple months surrounded by her family and friends… time for them to wrap their heads around what was going to happen. Then, I got home from work and opened my computer’s homepage to find MSNBC’s top story telling the world she had died already. I was in shock. It happened so quickly. I was lucky to have had those extra weeks with my mom, and yet I was still devastated by her death. I can’t imagine how it would have felt to lose her after a few days or even hours. It just breaks my heart. Sami, I’m sure you can really relate to their oldest daughter, Cate. You were lucky to have had those extra weeks with your mom, that didn’t make it easier when she died, but you have all of those memories now forever. P.S. Reading back on my comment, I sound heartless! Hello again Sami, I understood what you meant. You are very kind hearted, so I would never think otherwise! Thank you for capturing this so well for so many of us, Nancy. Cyn, Thanks for reading and taking time to comment so positively. Great post Nancy. It is impossible not to be moved by the grace and dignity with which Elizabeth Edwards lived her life and faced up to her death. I think we all would hope to emulate her example in the face of loss and pain, in the way in which we live our lives, and face our death. Marie, Thanks for checking out this post and for your comments. She was indeed an example to emulate on how to face life as well as death. Well written. Thank you for sharing. I had searched the internet for an answer as to why Elizabeth died so suddenly. The cancer victims I have been close to (including my mother) slowly succumbed to the disease and were unconscious several days before finally going. Death is so horrible. I pray it stops soon. Jim, I am sorry you lost your mother to cancer. Watching someone you love succumb to this disease is indeed heart wrenching. I found Elizabeth Edwards’ death had more of an impact on me than I would have imagined. I think many others felt the same. Thanks for finding my blog and taking time to comment. I hope you’ll be back. Alana, She was indeed, as were so many others lost to this terrible disease. Thanks for reading and commenting. I’ll tell you what was a shock: to read this post and to discover a comment left by Whitestone. In shock, I flipped to the top of the post to check the date. It was a old post. I didn’t realize. Whitestone is no longer with us, but it brought tears to my eyes to read her gentle words. I loved this post. It is so very, very relevant. Scorchy, Thanks for saying that. It means a lot to me for many reasons. Sometimes it’s hard to know if it’s appropriate to re-share these old posts, but then again, why not? I appreciate your feedback more than you realize. Nancy, I was not yet on the blogging circuit when you first published this post, so this is the first I am reading it. I, too, remember the day Elizabeth Edwards died because it was the same day my father died (though he passed 3 years before she did). The other odd thing about the timing of EE’s death was that I was diagnosed with Breast Cancer one day later. I was still very much in denial that the biopsy results I was patiently waiting for that week back in 2010; and when I heard Elizabeth passed, it sent a shiver down my spine; I felt my stomach drop and my breath stop for a moment too. Then the next day, the shoe dropped for me. Lots of emotions swirling around this date, between EE, my dad, and me. Thanks for rerunning this post. Renn, Oh my gosh, that’s a lot of memories you’re contending with right about now. I’m sorry you have such things to deal with. Lots of emotions swirling around this date for you for sure. Elizabeth Edwards will always bring back so many memories for me…Thinking of you, Renn. Big hugs to you and thanks so much for reading and commenting on this oldie. I, too, have identified with Elizabeth Edwards since her diagnosis. When she announced she had been diagnosed with breast cancer, I had just begun chemo for my stage III breast cancer. Elizabeth & I also were both military brats, claimed North Carolina as “home” although we lived in many different places around the world, and we both graduated from the University of North Carolina. So I followed the course of her treatment pretty closely & felt especially emotional when she announced that her cancer had metastasized. At least in the public eye, she handed her cancer with grace and dignity. I suspect that she was much the same in private as well. When she died, I had to resist that feeling that my cancer would be “just like hers.” I kept reminding myself that we are all individuals, and that each cancer is individual in our body. It’s now been 10+ years of survivorship for me – with Elizabeth’s grace leading my way. Rest in peace, Elizabeth, you were an inspiration to all of us. Shari, Thank you for your heart-felt comment. I have to remind myself periodically of the fact that my cancer is not like my mother’s, or like Elizabeth’s or like anyone else’s, so I totally get where you’re coming from. I’m glad you’re doing well. And yes, RIP, Elizabeth. Hello Nancy, I met Elizabeth Edwards at a book event. She spoke beautifully about her life. We all wished she was running for president! My mom of course shared that I had breast cancer so when she signed my book she wrote ” To Leslie, a sister with affection.” Now with my mets diagnosis in June that rings even more true. Thank you for reprinting this. Leslie, I think lots of people probably wished she had been the one running for president. How she signed your book exemplifies this sisterhood pretty well doesn’t it? Thank you for sharing about that. I’m glad you read this post and took time to comment. After A Cancer Diagnosis, Then What? Is There Really Beauty in Every Storm?